Mosaik Homes knows that the key to successfully designing and crafting today’s new home begins by listening to our client’s wants and desires. 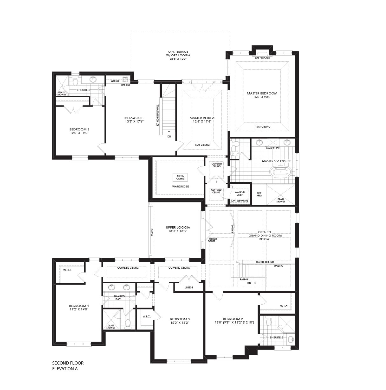 From a full in law suite to a grand dining room, let us take you through a tour of the many luxury feature & finishes of the ‘Lotus’ model from the exquisite Kleinburg Crown Estates collection. Through the portico and past the front entrance, a grand foyer welcomes you. To the right, an expansive 120” x 130” living room with optional coffered ceilings provides an elegant setting for entertaining or enjoying time with your family. Back through the foyer to the left and past the french doors is your den. Continuing on to the left your sprawling porte cochere and 11’8 x 20‘0 garage. A powder room and walk-in closet connects to a stunning hallway with coffered ceiling above and staircase with a closet tucked away. The first loggia leads to a covered porch, and laundry room. Continuing on and back through the french doors is the Lotus’ impressive grand dining room, with convenient access to the servery, wine cellar and spacious kitchen with large island and 12’0 x 17’6 breakfast area. A mudroom lets your entire family stay organized, and gives access to the second, back garage. An optional second loggia and fireplace connects to the jewel of the The Lotus, the exquisite 16’0” x 18’0” family room with gas fireplace and waffle ceilings. On to the second level and up the impressive staircase, overlooking the open grand dining room below, are 3 bedrooms toward the front of the home. 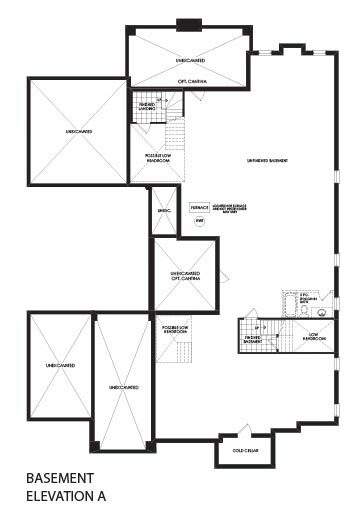 Bedroom 2 features a walk-in closet and ensuite, while bedroom 3 has a linen closet, and access to bath shared with bedroom 4, which also features a walk-in closet. The upper loggia’s french doors lead back to the upstairs hallways with a large wardrobe room, and walkin linen closet with optional elevator. 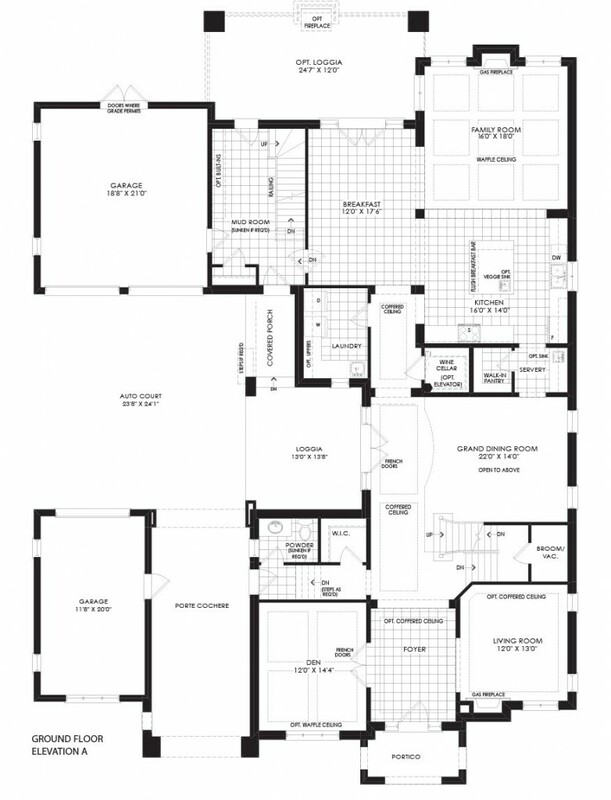 Walking towards the back of the second level is your complete in-law suite, with bedroom, ensuite, and wet bar. Connecting to the master retreat is your large master bedroom with master spa ensuite with glass shower. An unfinished basement, with 3 piece bath and finished area, also holds your cold cellar. 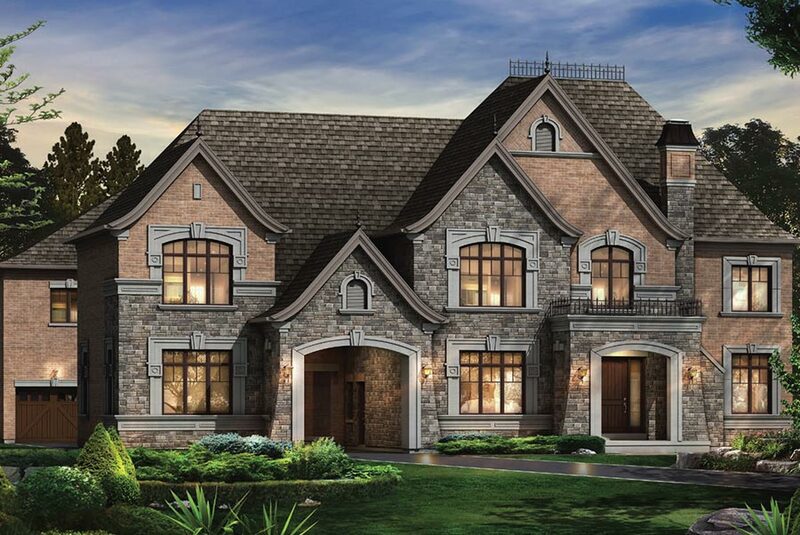 Architecturally coordinated exterior finishes top off the exquisite look of this Kleinburg Crown estates homes. 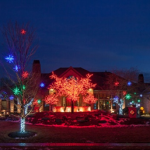 Set on a pleasant streetscape, the clay brick exterior with builder’s stone, precast detailing (as per plan), stucco moldings and brick archways are blended together to produce the diversified and visually attractive home. The ‘Lotus’ layout accommodates the entire family, providing the utmost in comfort and luxury.